An African couple with six children arrives in Australia from Sudan with dreams of a new life, and like every Australian family, they dream of owning their own home. But unlike most Australian families they have no idea how to make it happen. This story highlights the passion Aaron Azad has for what he does, and the motivation that drives him. “The father is a cleaner at one of the schools in Rooty Hill, the mother does child-minding and they’re making just enough to survive. They seem to have no savings in the bank, so there’s nothing there to use as a deposit for a home, but they desperately want to have their own place. “I went to see them at the home they were renting and I took one of my associates, who was new to my business and still entrenched in the corporate way of doing things. He says to me, ‘Boss, this isn’t going to happen; this is next to impossible’. “I said, don’t always look at these cases by how the book says things should be done, look for something else, look for clues on how you can help people rather than throwing up roadblocks. Look for ways to help them reach their goals. “I said to him, this family is working hard, but they have no idea and no direction on how to improve their situation. Nobody is doing anything to help them, at least not in the area of their finances. “This family even struggled with their English, so I brought along a translator from one of the local churches and with her help I was able to get a much better understanding of their financial position. “I asked them if they had any savings in their bank account and their response was ‘we have money, in the house’. It was literally under the mattress. I couldn’t believe it, but the father said ‘you can’t trust anyone, so I keep the money in the house’. “It was a shock, but now I knew where to start; I knew what I had to do to help them. I told them, if you can’t trust anyone you’ll get nowhere. “So over the next few visits I worked on gaining their trust as I educated them on how to do banking. We opened a bank account for them, got them putting money in it, put their salary into it. Over the next six months I worked closely with them to the point where they able to secure a property for four-hundred and ninety-five thousand dollars. “It was a three bedroom home, in Rooty Hill, and they were amazed. Life for this family made a dramatic improvement. “If I’d stayed in the corporate world, working as an employee for a bank, there is no way I would’ve been able to achieve that for that family. But working for myself and being driven by a desire to help people, I achieve that type of success all the time. I have numerous stories, just like that, where I’ve spent time with people, educated them on the processes and helped them achieve their goals. Aaron realised early in his career he would struggle working for someone else. Putting profits ahead of people wasn’t the way he was brought up, and he always felt restricted by the corporate culture. “I grew up in Bangladesh in a fairly comfortable environment. My father owned farmland, which had been in the family for decades, and would rent the land to farmers and he also received a small portion of the profits. So I understood finances from an early age. I also learnt from my father the value of keeping debts under control. “In fact his philosophy was to always pay off your debts. He used to say, ‘Aaron, never borrow money, you never want people knocking at your door’, and look at me now, I lend money. After completing high school in Bangladesh, Aaron moved to India to study, and that led to a job with a local domestic airline. After two years he applied to further his studies in Australia, at the University of Canberra, then a job with one of the big banks. Success! Working for the Commonwealth Bank and helping people achieve their financial dreams, he worked long hours, took a keen interest in his clients, and set his sights on climbing the corporate ladder. “I remember when they gave me my first bank to manage, the Glebe Point Road branch in Sydney. It was 2006 and the branch had been under-performing; it was listed in the bottom five hundred of the CBA’s branches. “It was my first real opportunity to lead a team and it was clear from the outset: morale at the branch was pretty low. The staff felt unwanted, they complained about promises that were never kept, and were doing just enough to keep their jobs. “I worked with each individual; we set goals, I helped them achieve those goals and found ways to reward to them. In the space of three months that branch jumped from the bottom five hundred to be in the top ten. I learnt a valuable lesson there about leadership. But his own motivation was stagnating. Aaron found the politics of the corporate culture suffocating; as much as he loved the banking business he was losing his passion for it and realised he had to make a change. 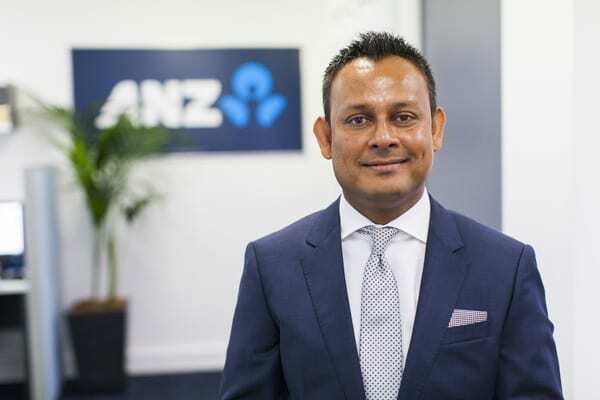 It was around that time that the ANZ bank introduced ANZ Mobile Lending, a franchise opportunity for those who still wanted to be connected to a major banking institution. “They were the only bank offering it and it suited me perfectly. I could still be linked with one of the major banks but without the same restrictions that go with being an employee. “It gave me the flexibility and the motivation to do what I love, and that’s helping people achieve their dreams, and to do it as a banker as opposed to being a broker. It was an inauspicious start to his business. “My office for the first twelve months was a corner table in the local McDonald’s. I’d be sitting there doing applications on my laptop and talking to clients on my mobile. “It never dawned on me to be self-conscious about where I worked from, not then at least. I’m a very positive person and any perceived negativity about being based at a fast-food outlet never entered my mind. I believed in what I was doing, I believed in myself and I knew I could do it. “Then I would go home and fax the documents to the bank and often it would be two or three o’clock in the morning when I’d be sending applications back to the clients. “I also had a six-year old child to look after for much of the day, as my wife had to go to work. But when you have a vision for what you want, and a passion for helping people, you just do what needs to be done. “The bank was amazed at the results I was getting, especially as I didn’t have what many would see as an affluent area. “I was allocated Wentworthville in Sydney’s western suburbs as my franchise – actually, I asked for it. Twenty years ago it was a dying area, but now it’s growing. The migrant population there is huge and house prices in the area have boomed. 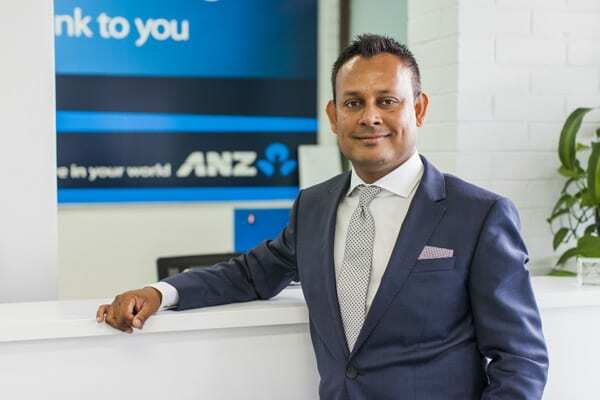 The business boomed for Aaron: after twelve months he opened a ‘real’ office, began employing staff and has even expanded, buying additional ANZ Mobile Lending franchises in Glenmore Park, and later spreading into the Cabramatta and Bankstown areas. “In that first year my revenue turnover was around two hundred thousand; now I’m over three million dollars and we do about two hundred and fifty million worth of funding every year, and I employ fifteen people, and that is in just over nine years. Aaron proudly shows us the latest figures: a total of $1.2 billion of funds under management. “And you know what is most satisfying about that growth? Almost all of it has come from referrals, not advertising. In more recent times Aaron has purchased and renovated the old post office in Smithfield, which had been closed for some months. He’s created a larger office space for his growing team of lending professionals and advisers. When you ask Aaron Azad for his advice on starting your business there would be no prizes for guessing the top two things on his list: belief and passion. “Being passionate about what you’re doing is the most important thing, and having a strong belief in what you’re doing goes hand in hand with that. You can’t be passionate if you don’t believe in what you’re doing, and why would you believe in something you’re not passionate about? “If your motivation is to just make money, then you run the risk of bending your morals, and that’s dangerous; it can lead to the collapse of your business. “Then when you’ve given that a tick, you need to have some financial literacy. If you don’t understand the finances of your business it becomes very difficult to set a strategy in place to take you to the next level. “Don’t be afraid to seek advice, but remember, it is just advice. Most of those giving the advice don’t share your passion or belief for what you’re doing. Most financial planners and accountants are employees and have never owned their own business, so they know little about running a business. Listen to their advice, but you still have to make the decision. “After a year being based at McDonald’s I felt ready to move into an office but my accountant advised against it. ‘You’re not ready’ he said, ‘it’s too soon’ he said, ‘wait’ he said. I said thank you for the advice, but your expertise is in bookkeeping and make sure you keep doing a good job of that. “I moved into an office and even hired some staff, then worked even harder to ensure I kept the accountant busy. “One other area I believe is important is your interaction with other people – in particular those you’re working with. It was a lesson I learned as a branch manager for the Commonwealth and those lessons have been invaluable as my own business has grown. “If you don’t have the ability to lead, rather than manage people, it becomes very difficult to not only grow your business, but even to maintain it. 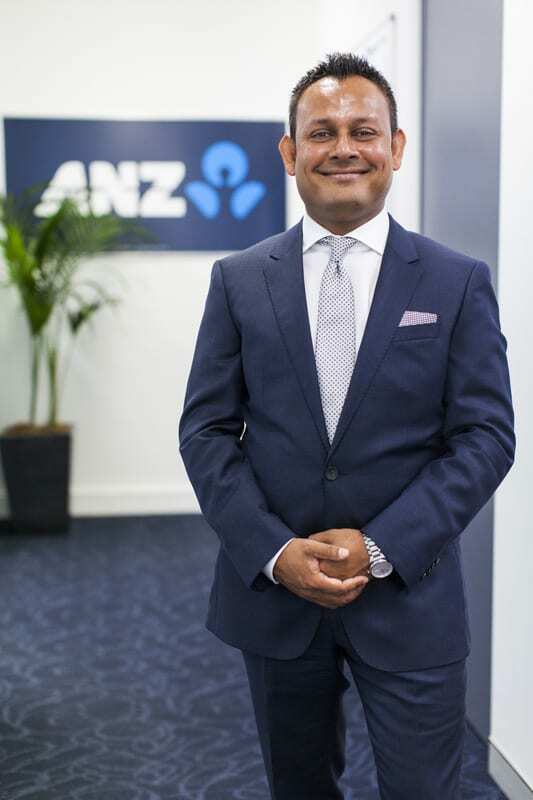 Mentoring is one activity Aaron relishes, and he has helped other ANZ Mobile Lenders learn the business and set up their offices. He also mentors his employees with their financial goals and even personal grooming as he sees giving level of guidance as part of his community leadership role. 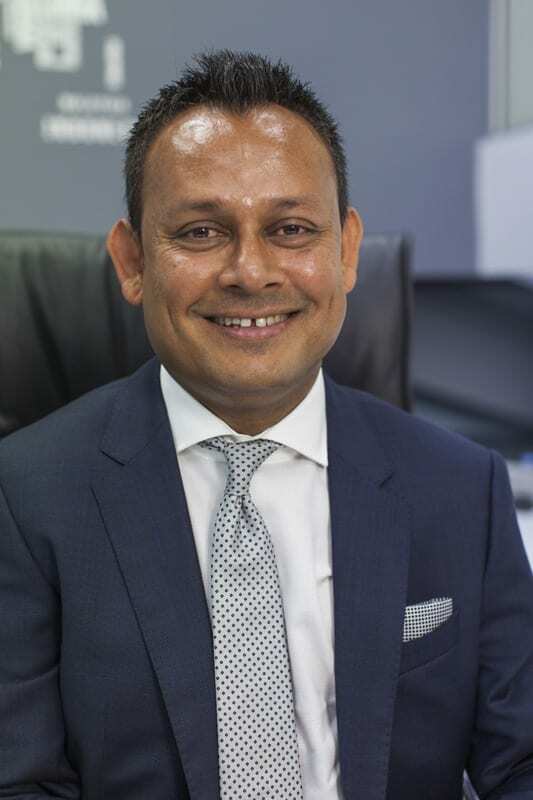 He has also been mentoring his wife with the establishment of their new venture together Stockton Grange Real Estate in Mount Druitt. “Being involved in your community is vital for any business, but particularly a business like mine. “ANZ allots me an area, usually designated by post codes, and I’m not allowed to promote outside that area, so from a purely business point of view it makes sense to be heavily involved at a local level in my community. “But if I did that just for business reasons, the community would see right through it, so you have to be genuine. “I have so many different communities in my area, it’s part-and-parcel of having a richly diverse ethnic population, so I actively involve myself wherever I can. Each group has its own festivals and I make sure my business and I personally have a profile at all of them. “And given the large migrant base in this area, you generally find yourself supporting their broader communities, the countries from which they have come. Through the United Nations Refugees Agency in many cases we’re helping family and friends of those here in Australia. Most of those giving the advice don’t share your passion or belief for what you’re doing. Leading isn’t just about telling people what to do, you have to show them. I believed in what I was doing, I believed in myself and I knew I could do it. It was a shock, but now I knew where to start, I knew what I had to do to help them. …it’s about lending money so they can have a better future.